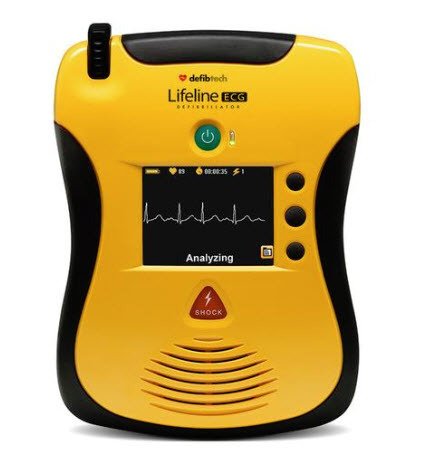 The Lifeline ECG AED provides the professional user with standard ECG information in addition to a fully-functional AED mode, which gives step-by-step instructions for performing CPR, rescue breathing and external defibrillation. Note: this product is FDA cleared and carries the CE Mark. The Lifeline ECG also has Real Time Protocol Selection which enables the user to switch rescue protocols from CPR with breathing to CPR without breathing and back again. 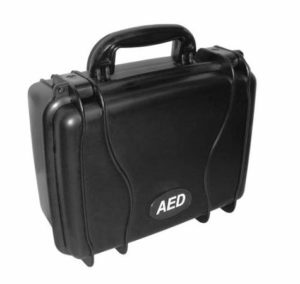 Additionally, the Lifeline ECG AED provides a non-diagnostic ECG monitoring mode to allow for heart rhythm and heart rate monitoring using standard ECG electrodes. Meet the AED that’s taking easy-to-use to a whole new level. 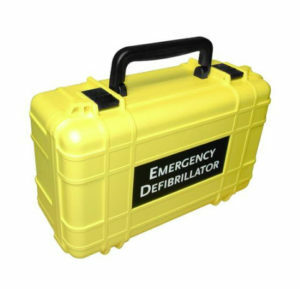 The Lifeline VIEW family of defibrillators are the first and only AEDs with video in full-motion colour and an 8 year Warranty. The Lifeline ECG offers professional responders the ability to view step-by-step instructional videos, or ECG information. Additionally the Lifeline ECG can be used in a non-diagnostic ECG monitoring mode, to allow for rhythm and heart rate monitoring using standard ECG electrodes.